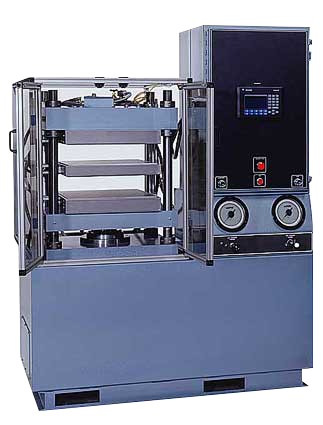 For high quality, high production plastic and rubber molding bonding and laminating. 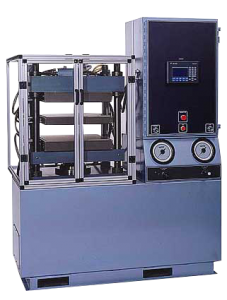 To most efficiently and economically meet the increasingly varied operating and production needs of the plastic, rubber, and electronics industries, PHI has developed a versatile, standardized “building-block” system for the design and construction of its compression presses. The basic “building-blocks” include a wide range of standard frames, platens, heating systems, hydraulic power supplies, and electric cycle controls. Utilizing these basic “building-blocks” in various combinations, PHI can quickly and inexpensively supply compression presses with capacities, controls, features and capabilities tailored to your specific needs. 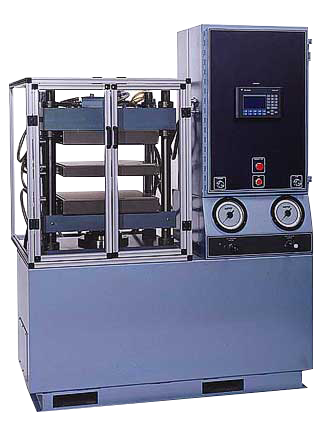 With this proven, pro-engineered “building-block” technique, press users now have the opportunity to select presses with “special” capabilities at realistic, economical “standard” prices, and with reduced lead time. 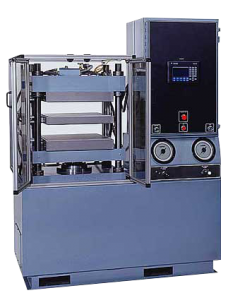 Whether Strain Rod or Unitized Frame, all PHI compression presses are carefully engineered and ruggedly built for years of heavy duty service. Only the finest hydraulic, electrical and mechanical components, controls and safety devices are used. Components are conveniently located to afford maximum accessibility for ease of operation, inspection and maintenance. ** The weights and dimensions shown are approximate and are for Strain Rod frame presses. Unitized frame presses are slightly lighter and smaller.